I tried to write this as all one post, but it really got away from me. There is just WAY too much Shakespeare stuff I need to tell you about. So I'm breaking it down. Here it is, ACT I of me talking to you about Shakespeare related things. I hesitate to say that all of our reading here at Third Place is influenced by Canadian Television; I don't want to over-generalize. But this is the second post in almost as many months to feature TV from north of the 49th Parallel. 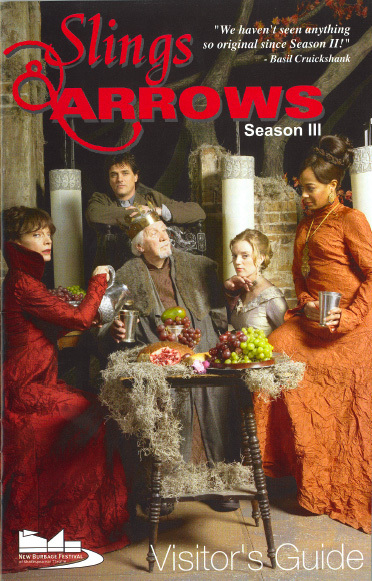 Recently, I devoured all three seasons of Slings and Arrows. It's roughly 13.5 hours of near-perfection, all about a Canadian Shakespeare theater festival. Each season focuses on a separate play, really diving into it, and though the show is more focused on the relationships between the actors and employees, there are a lot of moments of beautifully acted Shakespeare. Plus it has loads of little inside jokes, and a ghost. It's smart, funny, and sweet and I really, really recommend it. I will admit that I started watching this show, not because of my love for Shakespeare, but because of my love for the lead actor (he's soooooo cute). But there was a brief period in college when I would go to the drama department productions of overdone, usually modern-dress, very Rent-like Shakespeare plays. I loved being "into Shakespeare." I felt very artsy. But then I grew up and cared less about what people thought about the things I liked, and decided, my being "into" Shakespeare was really more for show. I didn't really get it. Shakespeare just seemed so obvious and the stories sort of unoriginal. Any comic relief in the plays was always juvenile and unfunny. And every other soliloquy riddled with cliches. And then I started watching this ridiculous (awesome) Canadian television show. And sure, they cherry pick the most beautiful passages to present, but still it reignited my interest and though this makes me sound rather dense and obvious myself, I realized Shakespeare's stories and plots seem obvious because his writing has influenced so much of our culture. He's seeped into every last form of media. Of course he's going to seem unoriginal when we've spent all our lives consuming reincarnations and cheap knock-offs of his genius. Sometimes the comic relief feel so inane because the tragedy is so heartbreaking, that humor, any humor will inevitably fall flat. And all those cliches in every other soliloquy? Well, they weren't cliches when he wrote them. They became cliches because he wrote them. We've just been repeating them ever since. 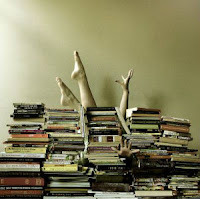 I have often heard bookselling referred to as a labor of love, which as you know implies we don't get paid very much. But while we may not be rich in cash money, we are basically swimming in free books. How jealous must you ordinary people be of booksellers and our advance reader's copies? I'm guessing not as jealous as I want you to be. I am constantly disappointed by the response I get when it pops up in conversation that I'm reading a yet-to-be published book. I find myself saying this a lot, "Excuse, me, I just want to make sure you understand, this book isn't available to you normals yet." I'm very popular at parties. So. 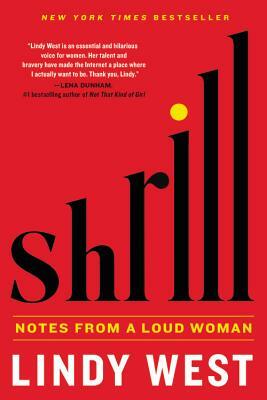 WAAAAAAAAAY back in January, I got to read the advance copy of Shrill: Notes from a Loud Woman by Lindy West. 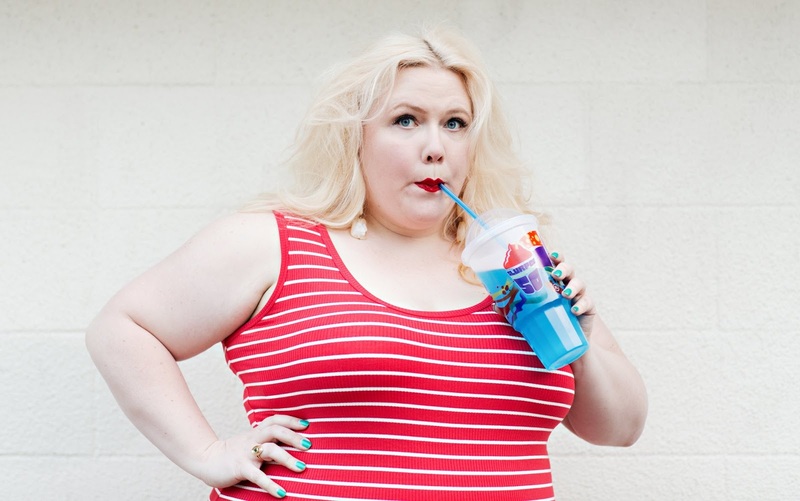 That's right while you all were still talking about Channing Tatum lip syncing Let it Go, and Patti LaBelle's new line of cakes, I was immersed in the genius, hilarious, fury-inducing musings of Seattle's very own, Lindy West. After I read it, I passed it along to many of my coworkers and we've become kind of (very) fanatical in our adoration. You can ask Lindy's mom who totally shops here and doesn't seem the least bit uncomfortable that we all know her name. And lately, the whole world is getting a little fanatical about our Lindy. I feel like an unbearably hip person who loved that cool band first, before everyone else loved the cool band and then I no longer love the cool band because it's too mainstream. Except, I'm not that hip, and it's not a band, it's Lindy West, and I only want her to get more, and more popular. I want her book to be on every bestseller list, and every high school curriculum, and 30 copies of it in every library in the whole entire world. Everyone I know is getting a copy for their next birthday. Yes, even my nephews who are 3 and 5...especially my nephews. I love this book, and I love Lindy West. She gave me feelings I didn't know I was capable of feeling. I felt validated and brave and often incedibly enraged on her behalf. 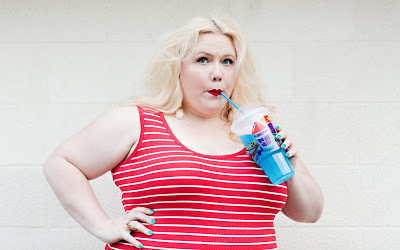 She talks about issues like sexism, abortion and fat shaming, body issues and internet trolls with such a perfect blend of humor empathy and wisdom. It's that combination of strength and wit that makes it such an unforgettable read.